Timo Boll takes the spotlight in part six of our 8 Questions series in the lead up to the Liebherr 2019 ITTF World Table Tennis Championships in Budapest, Hungary. One of the greatest players to grace the sport, a true legend in his own right, Timo Boll became the first German player to reach the World no.1 position in January 2003 and has enjoyed a sparkling career ever since. Striking ITTF World Tour singles gold on 19 occasions Timo Boll has won a record seven European Championships singles titles, 13 titles at the German National Championships and has lifted the Men’s World Cup twice. Boll also finished in the podium positions at the 2011 World Championships and has three Olympic medals to his name. Q) How did your table tennis journey begin? Q) What is the best part in table tennis? A) It’s physically demanding, but it’s very technical and psychological as well. Q) Is there any place in the world that standout for you? Q) Which superhero is your favourite? A) I like successful, but humble sportsmen like Dirk Nowitzki, Roger Federer and guys like that. Q) What are some of your favourite books and movies? A) I enjoy reading fantasy books and watching movies like Avatar and The Lord of the Rings. Q) Why should the fans attend the World Championships? 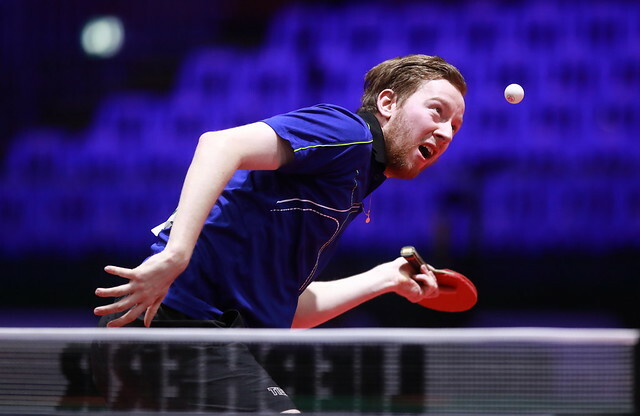 A) If you like to see some dinosaurs like Vladimir Samsonov and Timo Boll still in decent form, you should come to the World Championships in Budapest!